$5 OFF ONE: USE COUPON CODE "FARMA5"
$20 OFF TWO: USE COUPON CODE "FARMA20"
Redefine your morning. Forget slow starts and brain fog. Enjoy the fresh taste of Cocoa Mint. Energize your day with focus, radiance, and pure drive. If you’re ready for greater productivity and a brighter mood, NanoCraft Day is the right product for you! Farma Health independently tested the product. 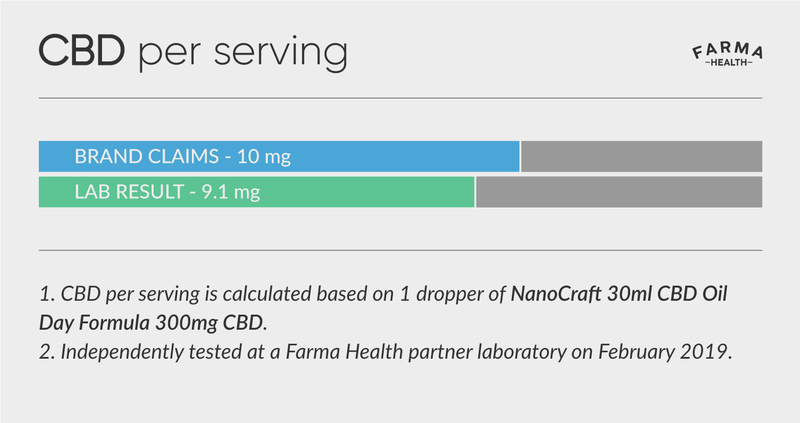 The one we tested had 9mg CBD per dropper. This is perfectly aligned with what the brand claims. This is not full spectrum, but instead produced from CBD isolates. As a result we did not find any Cannabinoid other than CBD. 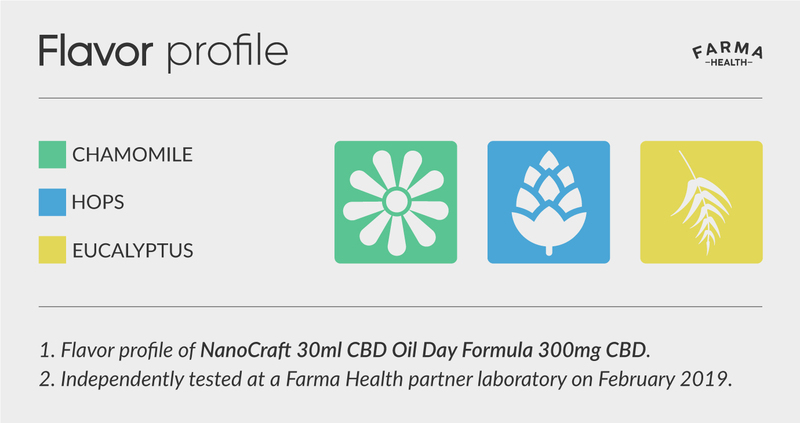 Terpene flavor of Chamomile, Hops and Eucalyptus defines the taste of this delicious CBD oil. The Cocoa Mint flavor builds on to it.